The west coast of Ireland has drawn artists from around the world for years. They come in hope of capturing the mystical beauty of the rugged coast and wild interior on their white canvas. 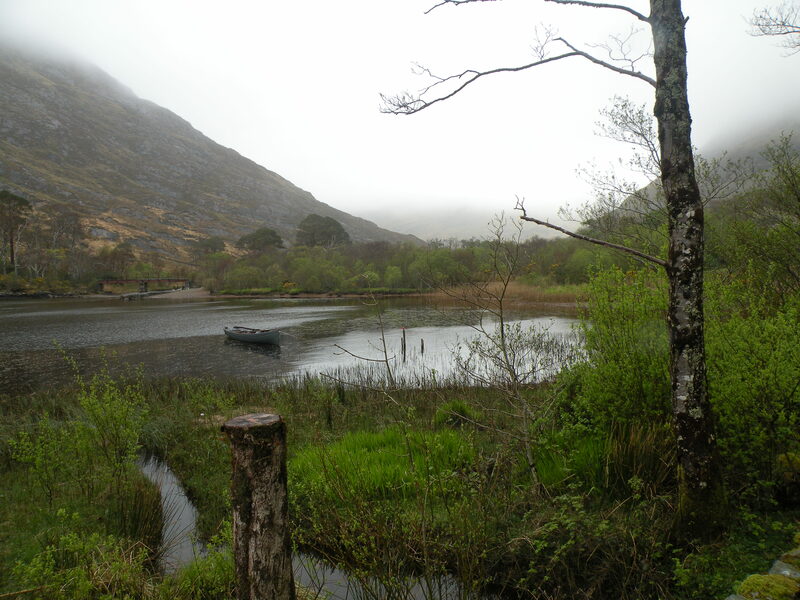 While Kerry and Galway may be more widely visited, Mayo has a unique and seemingly quiet beauty. A relatively lightly populated county, it has wide, untouched expanses of fields in the south and barren mountainous land in the north. The craggy coastline is dotted with islands and is home to Ireland’s largest island – Achill Island, which was made famous by the German writer, Heinrich Böll, who wrote about the island’s haunting, magical beauty. To this day German’s travel to Achill in search of the tranquil island depicted in Heinrich’s Irish Journal. Families arrive to Mayo in their droves, taking advantage of reasonably priced accommodation and an abundance of family activities such as the Pirate Adventure Park in Westport, scenic coastal drives and walks, kayaking, surfing and cycling. Anglers come from far and wide to fish the River Moy, world-famous for its salmon, staying in fishing lodges that are scattered along the banks of the river, while romantics opt for boutique hotels like Ice House or Mount Falcon. Today, Thursday 7 March, I was chatting on Ireland AM about the things to do and see in Co. Mayo. All the info is below. Those looking for romantic retreats, angling or spa destinations should have a read here. In the far south of the county, the quaint lakeside town of Cong attracts visitors not only for its scenic location, but for its reputation as the location for the filming of The Quiet Man. The town continues to celebrate its celebratory status, with a small museum dedicated to the film. However, the village itself, while small, is quite beautiful, with an Augustinian abbey in the centre from which a picturesque path leads you across a river and into the nearby woodland. Pick up a bicycle in the town and cycle around the breathtaking Lough Mask or do a cruise around Lough Corrib, followed by a walk around the gardens of the formidable Ashford Castle. 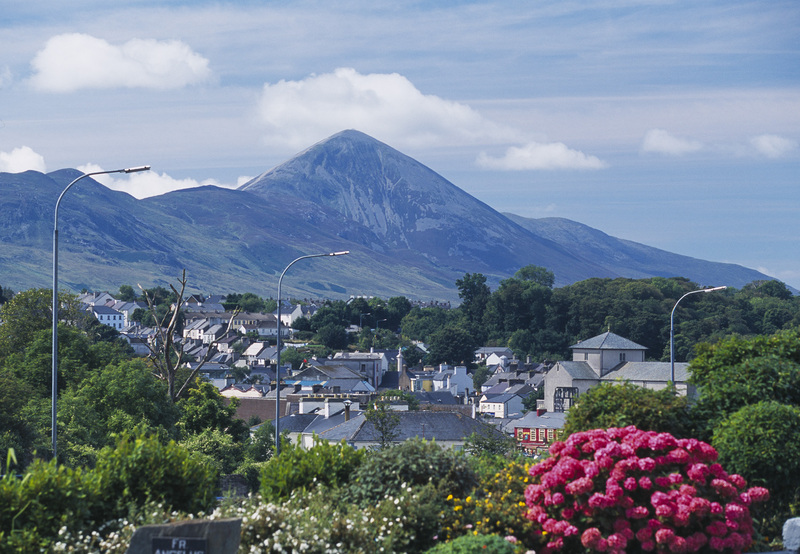 Westport, sitting in the shadows of the towering Croagh Patrick, makes a great base from which to explore the southern part of the county. The streets are lined with cafes, bars and restaurants and the town is buzzing most nights of the week, but especially at the weekend when the bars comes alive with live music sessions and are brimming with groups of visitors. The road between the town centre and the harbour is lined with B&B’s and hotels are scattered around the town, many catering specifically for families and offering reasonably priced accommodation. Those who have come to the area to climb Ireland’s most religious mountain, Croagh Patrick, are only 5 miles from the base of the mountain where you have stunning views across Clew Bay, which is studded with green humped island, most of which are uninhabited. Boats travel to Inishturk and Clare island both ideal for walkers and bathers in search of quiet, pristine beaches, while bird-watchers make their way to the steep cliffs on Clare Island, home to thousands of nesting birds. 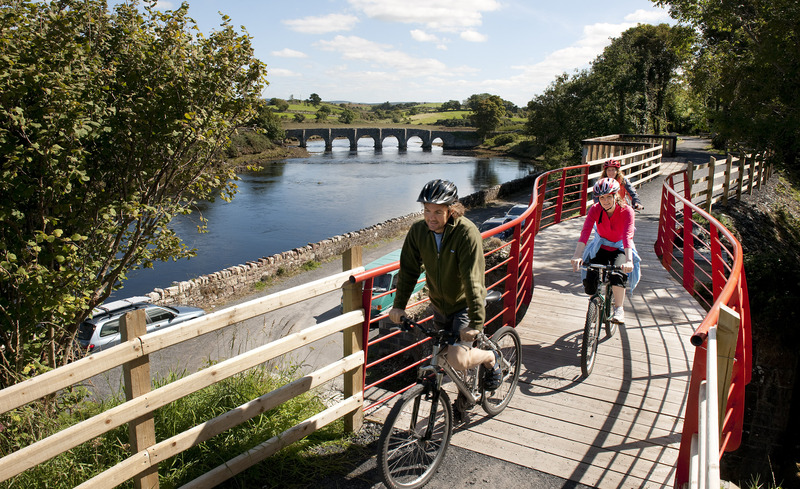 A beautiful cycle route has been set up – The Great Western Greenway, a 42km traffic free route through stunning countryside following the old Westport –Achill Railway line and on a sunny day you can take a dip in the sea at the blue-flag beach in Mulranny. Walkers can follow the quiet walkways in Ballycroy National Park which encompasses 11,000 acres of Atlantic bogland and mountainous terrain. Families will no doubt head to the ever popular Westport House, which combines the attractions of the stately home with a theme park for children. 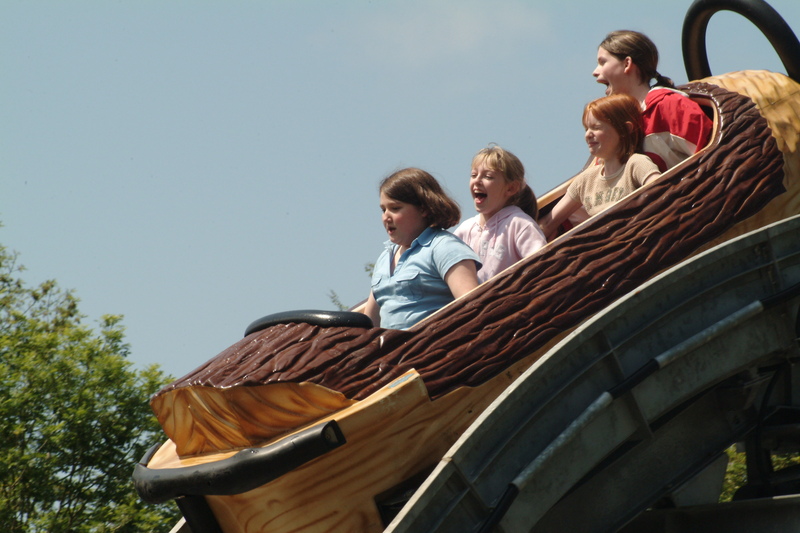 The Pirate Adventure Park is a children’s paradise with zorbing, slides, bouncy castles, pitch and putt, archery, flume rides, tennis courts and you can overnight in the on-sight campsite. One day tickets to the park for a family (2 adults and 2 children) start from €53. History buffs will want to check out the Country Life Museum, located on the beautiful grounds of Turlough Park, Castlebar while others may want to explore the Ceide Fields, the oldest intact field and farm system in the world. Be careful of the high winds on the exposed cliff. No matter your reason for travelling to Mayo, you can’t fail but be taken with its beauty and as I have done, return to explore the hidden gems it holds. Wyatt Hotel to include breakfast, a gourmet 3 course meal, late checkout on departure day & yummy hot chocolate on arrival all for just €98 in total.